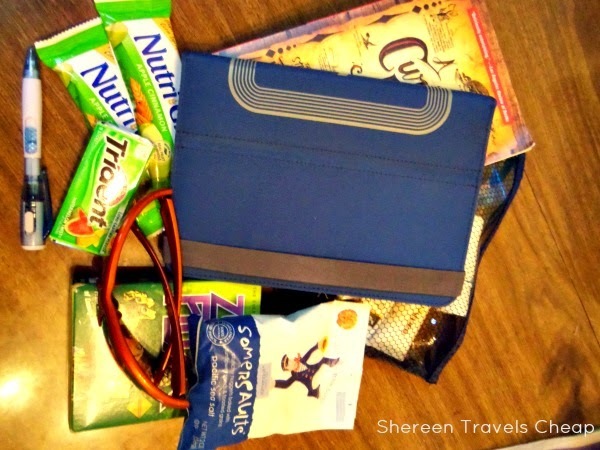 When I travel, it can be difficult to pack light while also bringing the right bags for my trip that can accommodate what I’m bringing with me and what I will probably be bringing back. Generally, on vacation, I like to do a bit of shopping. My souvenirs are minimal, but I find travel the perfect time to find unusual and fun gifts for birthdays and the holidays. I often bring an extra bag with me for my purchases, but the problem with that is that it takes up space in my bag that I need for clothes. 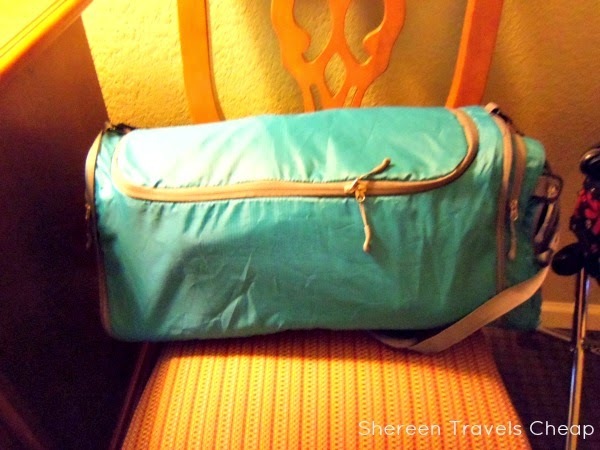 Travelon has solved my problem with the Convertible Crossbody Duffel. It comes in all the newest colors and it’s totally innovative, because it’s two bags in one. 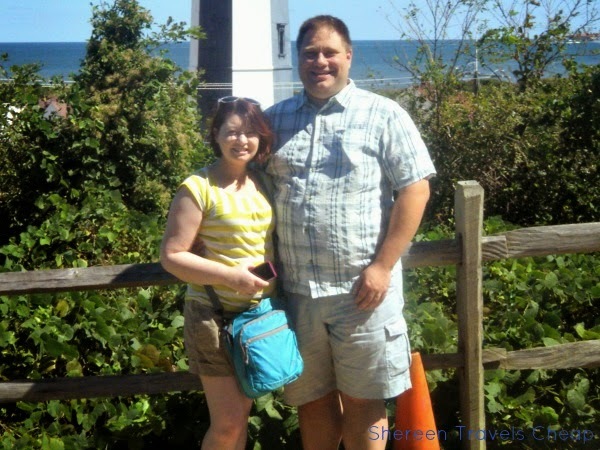 When you start your trip, you can use it as a regular crossbody bag, which is perfect, because Eric and I take two personal items on the plane with us for things we want to have convenient and which fit under the seat. The Convertible Crossbody Duffel is just the right size for your books, Kindle, iPad mini and has pockets to keep things organized. 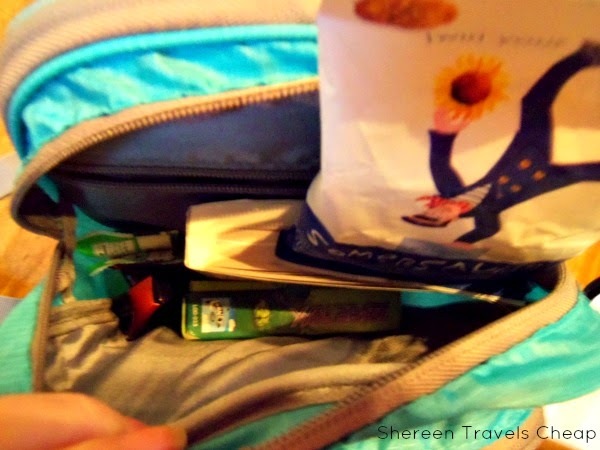 Put your card games, snacks and other items in it, then toss the stuff in your pockets into it when going through security, so you don’t have to use one of those bins for stuff like your wallet, keys and change that you probably don’t want other people to have such easy access to. Just FYI, Eric could have made the strap longer for him and I could have made it shorter for me, but we liked to carry it different ways. 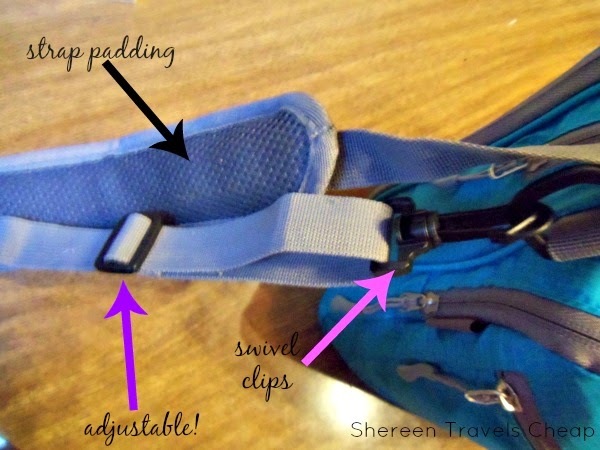 The padded strap adjusts to anyone’s frame to make it comfortable for them to carry. I used it as a day bag on several days of the trip, because it was fun colored and lightweight, but had enough room to carry everything I needed, including a cardigan that I brought just in case it got chilly. I like that it also has swivel clips, so the strap can never get all snarled and tangled from clipping it on the wrong way. 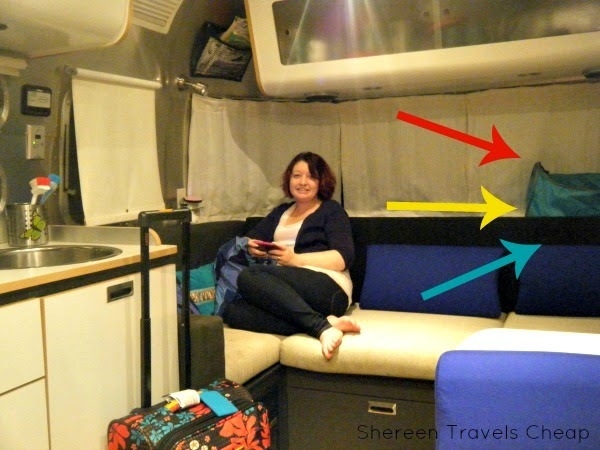 In the small space of our Airstream camper, we used the bag as a laundry bag, because it was easy to place anywhere. Once we started purchasing things to bring home, we employed this bag's second feature. 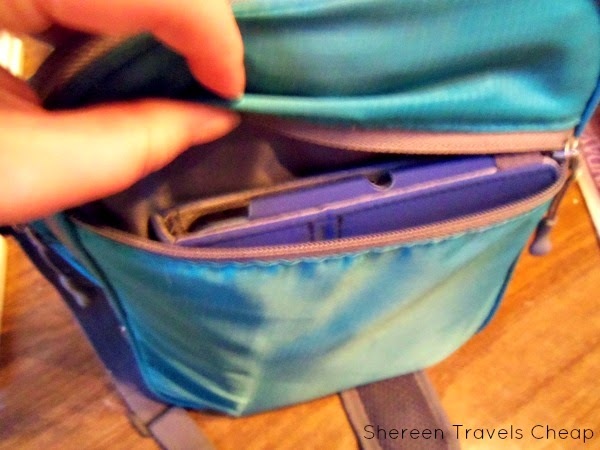 The back of the bag unzips all the way around and folds out to a duffel size bag. Not only that, but you don’t have to take anything out of the bag in order to make it full-size. Now you have a second carry-on to bring back with you that has a fairly large capacity and can rest on the top of your wheeled bag, plus you don’t have to spend extra money to check it at the gate. As you can see, the strap clips to two new rings that are revealed when the bag is expanded to evenly distribute the weight and make it into a real duffel. Surprisingly, the lightweight fabric doesn't make the bag bulky in crossbody mode. The duffel part folds into the zipper compartment effortlessly and pretty much is undetectable. One of the cool things about this bag is that even though you are using the bag for a new purpose on your way back from your trip, it can still hold the original items without compromising space, because the crossbody part of the bag is still there as an extra section to your duffel. It’s also nice to be able to keep your snacks or whatever else you’ve brought separate from your dirty clothes and you don’t have to open the main bag and dig for things that would inevitably end up at the bottom. As sturdy as this bag is, I wouldn’t suggest loading it up with heavy items, because it is nylon (though ripstop) and doesn’t have a structured bottom. Even so, we put this bag to the test and filled it with a mixture of clothing, food items and souvenirs. It was fairly weighted down on the trip back home, but I wouldn’t do this on a regular basis, nor would I check the bag, since it fits easily in the overhead. If not totally full, it would still fit under the seat. You can feel free to take this bag with you everywhere. Though it’s nylon, it is stain and water resistant, so whether you get caught in a rainstorm or go to the beach, you don’t have to worry about your stuff getting all wet and soggy. I’d also like to call some attention to the zippers of the Convertible Crossbody Duffel, because they have nice ergonomic zipper pulls which helps to give the bag a cute sporty look. The bag is quite good for both men and women, as it’s not girly and comes in colors that are appealing to everyone. I see us using this bag often on our future trips and even around town, simply because it's cute and versatile. 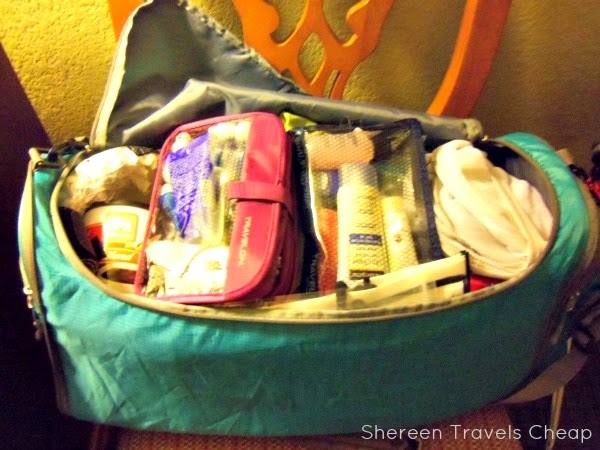 Even if we decide to pack the bag to use at our destination, it doesn't take up much room. The only thing that would make this bag better is if it had a bottle holder, though that might compromise the structural integrity of it. 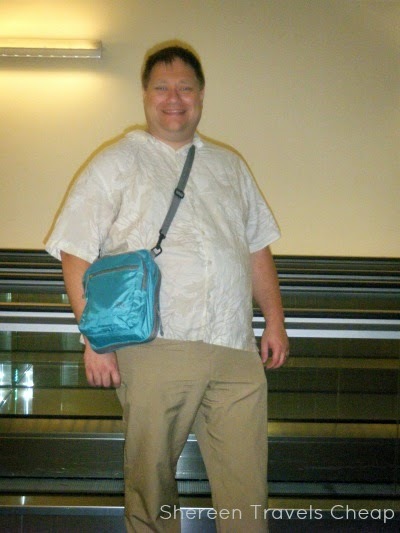 Even without one, it is a fantastic bag for traveling, overnight trips and even everyday use, like going to the gym. Because it is dual-use, we ended up getting a lot more use out of it than expected. Also, the price-point makes it a wonderful gift, as it's pretty budget-friendly, and your recipient probably has never seen a bag with this kind of innovation. 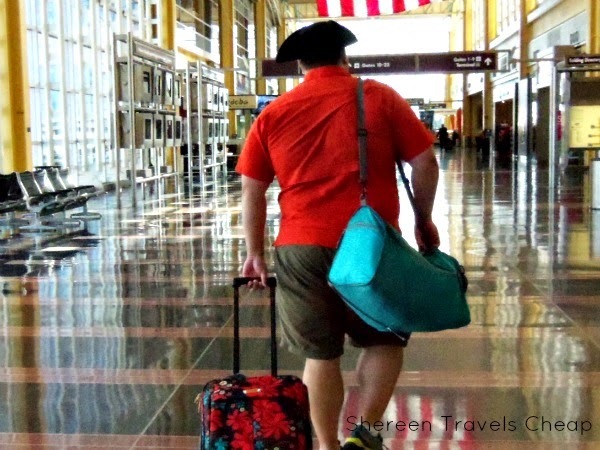 Stay tuned for two other great bags from Travelon that I tested out on my trip. Disclaimer: I was provided with the Convertible Crossbody Duffel for the purposes of this review, but all opinions are 100% mine.